Global climate change is a major and unprecedented public health threat. Unlike infectious pandemics such as last year’s Ebola outbreak, which has killed more than 10,600 people in West Africa, climate change ignores HAZMAT suits and geographic borders. 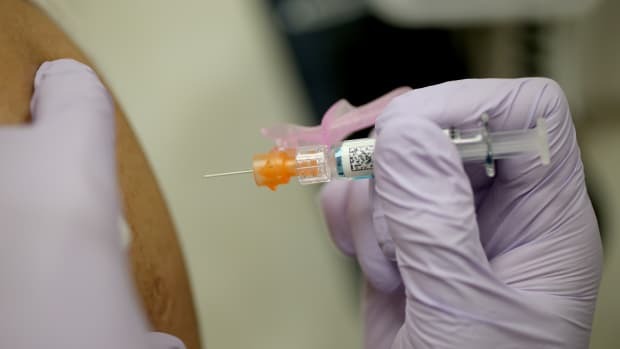 There will never be a vaccine to inoculate you from the negative effects of a dying planet. And when the planet’s well-being deteriorates, our health soon follows. Human-caused destruction of our climate is making us sick, and a sicker public means more strain on hospitals and health care services. Climate change affects most aspects of public health, according to the Centers for Disease Control and Prevention. It deteriorates the air quality, which increases respiratory and cardiovascular diseases; it forces people to face more prevalent food- and waterborne illnesses; it causes an uptick in extreme weather events, which will injure and kill more people than ever before; and it increases chances that the public will contract and then spread a life-threatening infectious disease. Health care organizations throughout the United States have already dealt with several of these problems over the last decade. But climate change hits both of the main scenarios that can stop a hospital’s functionality and the staff’s ability to deliver health care: supply disruptions, where the facility loses necessary infrastructure, staff, and internal or external resources; and demand disruptions, where there is a dramatic increase in patients, actual or anticipated. In response, many of those hospitals are starting to rely on technology and big data to prepare for bigger, future problems. Hospitals are adapting by combining infrastructural improvements, environmentally friendly practices, and predictive climate awareness. By building a more sustainable infrastructure, or retrofitting what already exists, hospitals can add a significant buffer against these anticipated disruptions, according to the report “Enhancing Health Care Resilience for a Changing Climate,” which was published by the Department of Health and Human Services last December. But how organizations tackle this task depends, in part, on where the buildings are located, how sick its average patients are, what a predictive climate forecast says that area will be affected with, and what type of economic role the hospital plays. Because Northeast winters are continually breaking records for cold temperatures, snow fall, and rain, for example, new hospitals are putting power supplies on the roof, incorporating massive rainwater storage tanks, and growing gardens on the top of buildings to soak up excess moisture. In the Midwest, stuck with excessive heat waves and flooding that cause rolling blackouts and structural damage, hospitals are trying to become more independent from municipal utilities, incorporate combined heat and power systems, and elevate structures when possible. And the West Coast is struggling against higher daily temperatures and cities that are running out of water, which is creating a need to find a purpose for every water source, include new temperature control systems and low-water-consumption landscaping. Until recently, health care organizations have only been reacting to climate events as they occur. Hospitals now realize that environmental preparedness goes hand-in-hand with geographic resilience, which leads to data-driven climate forecasts dictating what infrastructure technologies and tools are important to include, says Robin Guenther, a co-author of the White House report who serves as principal at Perkins+Will and a senior advisor for Health Care Without Harm, an organization the promotes environmentally responsible health care. 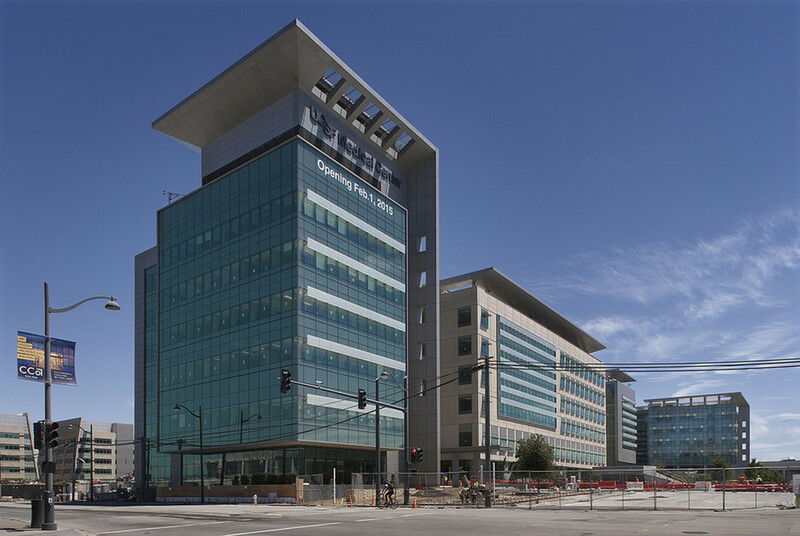 One of the newest state-of-the-art hospitals in the country to incorporate many of these sustainable, climate-resilient technologies is the University of California San Francisco Medical Center at Mission Bay, which opened on February 1. Designed with climate disaster resilience, resource sustainability, and patient care in mind, Mission Bay is currently the best hospital in the country to showcase how hospitals can adapt to geographic-specific climate change. Dan Henroid, the director of nutrition and food services at UCSF who serves as a sustainability officer, says what the campus accomplished goes far beyond any typical “going green” calls to action. And with the California drought draining the state dry on resources, the hospital’s lauded methods are being put to the test. The Mission Bay campus is using an irrigation system that automatically adjusts water output depending on current weather fluctuations. It also has dual-flush toilets and low-flow, high-efficiency showers and basins. With these and other water conservation efforts, the hospital is expected to save nearly four million gallons of potable water each year, Henroid says. This facility has been open for less than three months, but already other hospitals are looking to it for inspiration. Lucile Packard Children’s Hospital at Stanford University has a new wing opening in two years, and Guenther, who assists the design team, says they looked at what UCSF Mission Bay accomplished for water sustainability and intend to innovate even beyond that. 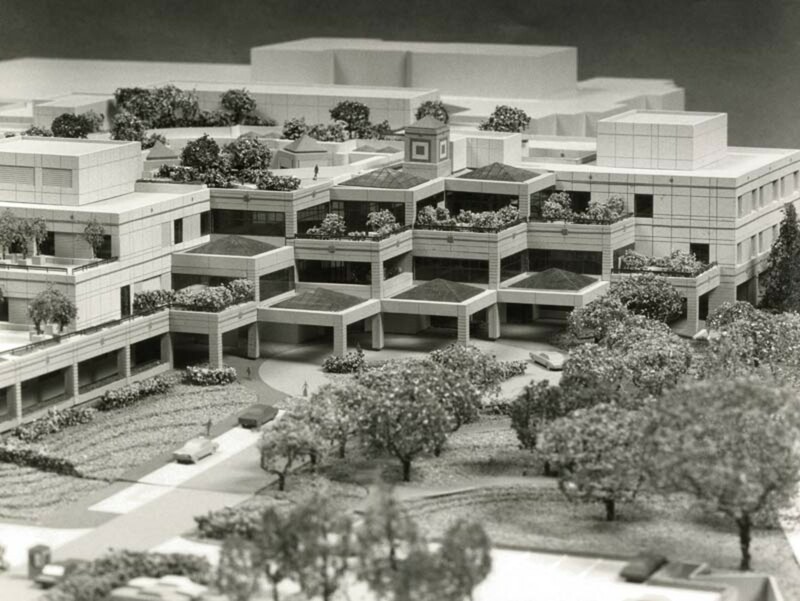 The Lucile Packard facility will be placing reusable water into a cistern from three sources: rainwater from the roof, condensate from the air conditioning system, and the reject water from dialysis. These methods give the hospital about 110,000 gallons of water at any given time, enough to irrigate the landscape for the entire summer, Guenther says. Plus, if there was an emergency and the facility didn&apos;t want to use its four- to seven-day emergency supply of potable water to flush the toilets, it could drain the cistern water for other uses. Although California’s water supply—or lack thereof—is a major climate issue for hospitals, so is power usage. The environmental damage the average American hospital causes is significant. Hospitals typically operate 24/7 and generate more than 2.5 times the energy intensity and carbon dioxide emissions of commercial office buildings, producing roughly 30 pounds of CO2 emissions per square foot, or eight percent of annual climate emissions in the country, according to the U.S. Department of Energy. Mission Bay has figured out how to cut that usage in half by incorporating a standalone central power station, Henroid says. The station works alongside other energy-saving technologies, including heat recovery ventilators that reclaim energy from exhaust overflows, patient rooms with access to natural light, heating and cooling systems that can be controlled remotely in most parts of the facility, and a photovoltaic system that converts solar energy into electricity. These methods are saving Mission Bay an estimated $784,000 in annual energy bills, and reducing its CO2 emissions by 20,000 metric tons. The theory is that if you can make it so a hospital requires fewer resources, then that building can operate longer when those resources are scarce, Guenther says. Mission Bay even has semi-autonomous robots known as Tugs zooming throughout the building to alleviate manpower needs and meet its sustainability and patient care goals. The fleet of Tugs travel more than 100 miles per day among the seven departments that are actively using them. They transport landfill compost, recycling, and hazardous medical waste to the central collection point so it can be appropriately sorted and disposed of, Henroid says. A fleet even brings patients fresh linens and meals prepared with materials from local farmers. By using the Tugs in this way, Mission Bay staff doesn’t have to worry about lifting, pushing, or pulling injuries related to waste removal. And in the event of hectic climate disasters, the robots free up staff to focus on patients. There are more than 5,600 registered hospitals in the U.S., and not all of them have the budgets required to construct a new building like Mission Bay or Lucile Packard, or even retrofit what they already have to prepare for upcoming climate disruptions. So what can happen to these health care organizations that are unable or unwilling to adapt? As Hurricane Sandy showed us, it’s nothing good. When Sandy slammed into the Northeast coast in October 2012 the storm completely shut down six hospitals and 26 residential-care facilities in New York City. 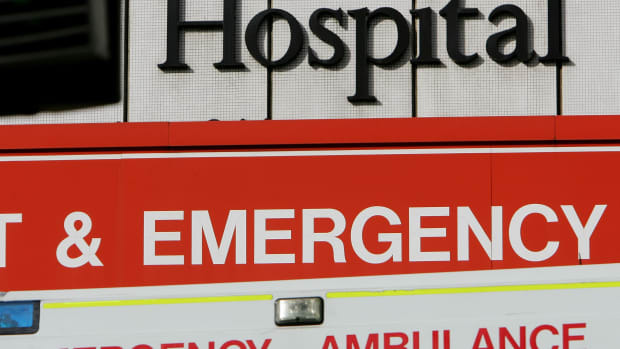 More than 6,400 patients were evacuated, and providers who remained open strained to fill the health care void, the White House report states. “Hospitals repurposed lobbies as inpatient rooms, adult care facilities siphoned gas from vehicles to run emergency power generators, and nursing home staff lived on-site for four or more days until their replacements arrived,” according to the White House report. 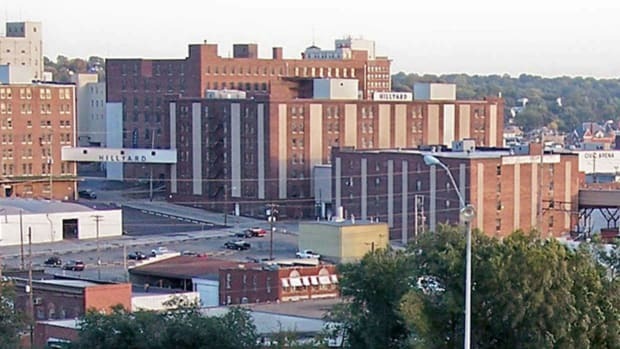 Many of the affected hospitals suffered severe flooding, which destroyed power generators and patient medical records. Various areas of New York City lost municipal services for days, forcing the remaining operational hospitals to function entirely on emergency power. 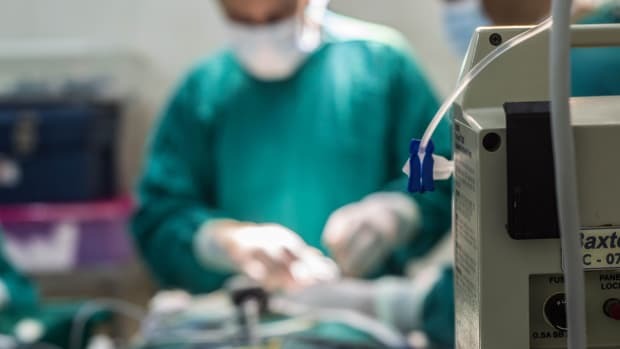 The report states a number of those back-up systems also failed or staff didn’t know how to operate them, further stressing the functioning hospitals that had already exceeded their maximum treatment threshold. Because emergency supplies are typically only used in actual emergencies, it’s common for hospital staff to forget how to operate equipment, Guenther says. In some cases those tools are forgotten about completely. Events like Hurricane Sandy demonstrate the necessity for hospital climate-resilience plans to work emergency systems into the day-to-day operation of these buildings—like the water cistern at Lucile Packard, or the combined heat and power systems many hospitals are building. To withstand whatever the future holds, it’s time to fundamentally re-think how hospitals operate. Health care systems in the U.S. are larger and more complex than ever before. We need more societal resources to buffer the impact from these climate events. Part of that is making people healthier by focusing on preventative health care—because healthier people are more resilient to climate impact than unhealthy people—and the rest is using sustainable technologies to embed fortitude into hospital infrastructure and day-to-day operations. 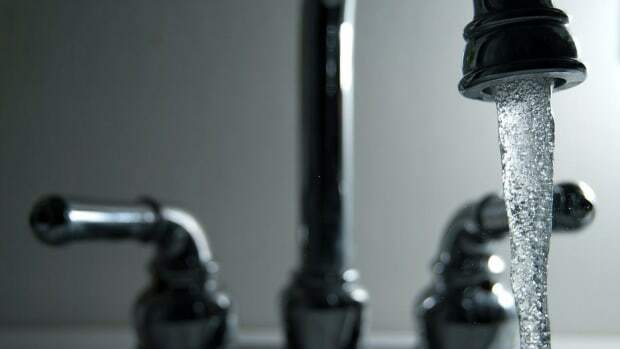 Toxic tap water is just not acceptable in 2015 (in Flint, Michigan, or anywhere else).